Is The Amazing Selling Machine A Scam Or Worth $4,000? Depending on when you’re reading this, this Amazon FBA course is selling for anywhere between $3k to $5k. We’re not talking pocket change here! Is the Amazing Selling Machine a scam or a legit course worth the money? On the flip side, for those with cash available who are ready to apply the training, this could be a great way to launch a very profitable eCommerce business. In this review we’re going to look at exactly what the Amazing Selling Machine is, what updates have been added, what you get, what you’ll learn and ultimately whether it’s the best option for you right now or not. Before we get into the review you need to know I’m not one of those reviewers who puts my own interests before yours. I’m not here to give you hyped up promises or unrealistic expectations. When I review any training course I always think in terms of what’s going to help you become successful and profitable online. Okay, with that out of the way let’s dive into the review! What is the Amazing Selling Machine exactly? Created by Matt Clark and Jason Katzenback, Amazing Selling Machine (ASM for short) is a step-by-step 8 week video course and online community designed to show you how to profit from starting your own Fulfillment By Amazon (FBA) business. We’ve all heard of Amazon.com, right? It’s our first choice for online shopping because it’s cheaper, faster, more convenient and has way more choice than going to your local high street. Amazon is absolutely HUGE and they’re only getting bigger year on year as they focus on expanding their reach in Europe, Australia and Asia. They ship 1.3 million products a day across the world and the course promotes itself as the way to get your slice of the action, without having to keep stock or deal with shipping yourself. Amazing Selling Machine has been around for 8 years now and has a good track record. They update and relaunch the training every year or so. What started out as ASM1 became ASM2, ASM3 and so on. In August 2018 they launched ASM9. We don’t yet know exactly how long this will be available. You see, unlike most other online business training courses, Amazing Selling Machine is only available for about 6 months of the year so it’s not always possible to sign up. Whether this is so they can focus on their new influx of students or to create hype and excitement around product launch time, who knows, but I think this is a good thing because it means they’re always improving the training and striving to create as much value as possible for their students. It’s also worth noting that as a lifetime member, you’ll be given automatic access to all newer versions regardless of when you joined. Good to know. Before we take an in-depth look at what exactly you get access to inside the members area and what the course covers, I feel like this is a good point to give you a quick overview of what becoming an Amazon FBA seller looks like and how it works. With FBA you’re taking advantage of Amazon’s huge worldwide network of distribution centers. You choose products, find suppliers and have them ship your inventory directly to an Amazon fulfillment centers. There are HUGE pros to this. No customer service to deal with. No inventory to store yourself and Amazon will deal with all the shipping for you. I believe the the Amazing Selling Machine course will teach you on how to avoid making the same mistakes as other newbies out there but there are some things can happen as an Amazon seller that are simply out of your control. Is Amazon FBA right for you? If this wasn’t enough to put you off, keep reading the review in full to find out exactly how Amazing Selling Machine is going to get you to where you want to be. As a member you’ll have unlimited access to an extensive 8 week training program, online community forum, private Facebook group and a one-on-one mentorship program where you can get help if you get stuck or have any questions, as well as unlimited access to the resource vault. Every time a new version of ASM comes out, it’s completely updated to reflect the changes in the Amazon marketplace. I really like the fact you’re learning from experience Amazon sellers who once started from scratch and have built very profitable Amazon FBA businesses for themselves. You get to learn the real strategies and techniques that have worked for others so you can replicate their success – this is huge! By far my favourite thing about the training is that it’s 100% practical. You’ll be applying the lessons to build your business as you work your way through the course modules. 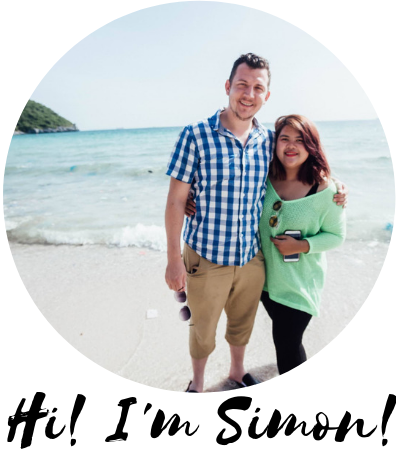 The Welcome Module is made up of 14 video lessons and it gives you a good overview of the whole course, what to expect, what’s involved and an overview of the huge earning potential of starting an Amazon FBA business. You’ll also be given a tour of the Amazing Selling Machine member’s area, what features are available and where to find help when you need it. This is when we get into the real meat of the training. The first module has 23 in-depth lessons that walk you through on how to start out as an Amazon seller. You’ll learn how to browse the different Amazon categories what numbers to look out for to ensure you’re only picking out the best products to target. As an Amazon FBA seller you’re going to be outsourcing product manufacturing. This course will show you exactly how to find the best suppliers, why you should always get a sample before placing a big order and of course, watching those all important profit margins. This is really is number crunching time because if your FBA business is going to be profitable in the long term you’re going to watch your income and expenses and take care of your bottom line. Another 16 lessons on creating and building a strong brand. To be successful in the Amazon FBA you’re going to want to get this down. In this module you’ll learn how to find the best suppliers, how to prepare inventory and how to create the right brand logo and image that gets the most clicks. This is a really fun module that shows you how to turn casual buyers into loyal customers that keep coming back. You’ll be shown step-by-step how to build your online presence through social media platforms like Facebook, Twitter, Pinterest, Instagram and others. You’ll also learn how to start building a list of email subscribers (highly recommended) who you can keep in touch with – great for increasing sales. Okay, so you’ve got the perfect product with an amazing brand, now what? Well, it’s all about getting traffic and converting that traffic into sales. You do that buy targeting specific keywords, engaging titles and engaging, useful content that help you stand out from the crowd. Everything is in place. You’re ready to start. This module is all about getting you started in the best way possible. Remember everything you’re learning here has been tried and tested by experts that now how to get results. By the end of this training you’ll be ready to Amazon FBA shipment , how to get your product ranked in Amazon and how to get those first few vital user reviews that could make or break your product. By this point you’ll have a steady stream of sales coming in – not it’s time to turn it up a notch! You’ll be taught how to get the competitive edge over your competition through paid advertising and sponsored listings. Now they’re you’re up and running, it’s time to scale it up. These 12 lessons run you through some of the common pitfalls (and how to avoid them), how to add to your inventory and expanding your product portfolio. It’s a great course, but why the steep price tag? This might be my biggest issue with ASM. Depending on when you’re reading this the Amazing Selling machine membership is going to require an investment of anywhere between $3,000 and $4,000. The way I see it, there are definitely pros and cons to having a high ticket price. Let’s weigh them up together to help you make the right choice. The high ticket price means ASM will be inaccessible to most. No one can guarantee you’ll become successful. A strong work ethic and good decision making skills will help. What price can you put on a structured step-by-step course that will save you time and money from costly mistakes? What do you think? Is Amazing Selling machine worth it or is it out of your price range? Here are a couple of cheaper Amazing Selling Machine alternatives you might be interested in. Do your research, check them out. Sure they might not have all the bells and whistles ASM does, but the course content runs you through pretty much the same process. If you’re on a tight budget then I want to remove any obstacles that might prevent you from becoming an online entrepreneur and making real money online. On the flip side, for those with cash available who are ready to apply the training, Amazing Selling machine really could be a great way to launch a very profitable eCommerce business. There’s nothing shady about the training you’re given – no blackhat techniques. We’re not talking about a get rich quick overnight scheme here. With ASM you’re starting a legit eCommerce business with Amazon, one of the biggest, if not THE biggest online marketplace out there. You’re given hands-on practical advice from some of the most successful Amazon sellers out there. No fluff, no hype, just the right how-to and community support. Amazon FBA is a proven business model that presents you with a huge earning opportunity IF you\re willing to take massive action to make your online income goals a reality. Unlike a lot of make money online programs out there that pop up out of nowhere only to fizzle out once the negative reviews and complaints start coming in, Amazing Selling machine is not on the 9th version and it’s been around for nearly 10 years. In online terms – this is a lifetime! Over that time they’ve churned out student after student who have gone on to make more than a full-time income online. The latest figures reveal they’ve created 100+ millionaires. people just like you and me who have gone on to enjoy a very profitable online career. Here’s just a couple of success stories you’ll see inside the members area. I love that you get to share your successes and celebrate passing milestones inside the ASM community. These members prove what ASM teaches gets RESULTS! What percentage of students hit this mark? Well, to be honest we don’t actually know as we don’t have the total number of students. Can I guarantee you’ll be highly successful at this? But can i promise you’ll have everything at your disposal to become a success if you want it badly enough? According to this video ASM students are generating a total of $432,000,000 in annual revenue which though a whopping amount, only scratches the surface of Amazon’s $89 billion. There’s so much money to be made and I believe wholeheartedly Amazing Selling machine gives you the right training, tools and support to become your own boss and have your piece of the action. The third reason I think Amazing Selling Machine is legit is that there’s Amazon FBA experts on hand to help 24 hours a day. The people behind this program really go out of their way to make sure everyone gets support when they need it most. The discussion forums are alive and buzzing with activity with people reaching out and getting help. Whether you have a question or just feel like you’re not quite ‘getting’ something, you can hop over to the ASM forum or private Facebook group and get the answers you need. ASM also run a mentorship program which incentivise some of the more wiser and experienced members to help out newbies just getting started, so at least you can know you’re in good hands. As well as your standard 30 day money back guarantee (which they do honour), ASM also gives you a 30 day guarantee to cover any inventory you’ve bought for up to $2,000. This is unheard of! Again, this is yet another sign to me that Matt and Jason really are trying to remove every hurdle and make the path to success as straight as possible for you. Is Amazing Selling machine right for you? You literally have nothing to lose by trying it out. I’ve shown you the business model, I’ve shown you the earning potential there is with this. You’ve seen the success stories and risk-free guarantees. What are you going to do now? If you have the money to invest and want a detailed step-by-step, high-quality training course with expert support every step of the way, Amazing Selling Machine is a clear winner. Click Here To Start Your Amazon FBA Business Today. What do you think? Is it worth the high cost or could you get just as much value from much lower priced training? Thanks for this awseome review of amazon selling machine. This does indeed sound like a very good program teaching people how to make money online through amazon — but the steep price as you said if the sole reason why I will not be buying it. Also this business model, would you say it’s a pretty passive one — or something you haven to spend several hours a day to get the kind of results shown within the training? It certainly has the potential to be passive but like anything else, it takes a lot of setting up, to begin with. The main things to manage are the ad campaigns – you want to test them, make sure they’re running optimally and make tweaks as necessary. You can outsource the customer side as your dropshipping business grows, but this is not like a ‘set and forget’ type business – product trends change and just because a product is hot right now, doesn’t mean it will be in 6 months’ time (take fidget spinners for example). So you’re definitely going to need to be on the hunt for new products. I agree – great course, not so great price though. If you’re looking for an Amazing Selling Machine alternative then check out Amazon Sales Blueprint that Tai Lopez has just released. He has a 10-day Quickstart program at around $29 and the Full Program is just $499. The price of this program is really high that it scares me. I don’t think that the Amazing Selling Machine is the right opportunity for me. I have already started an online business with affiliate marketing and I am struggling to make money online. Thinking about going into e-commerce gives me a headache. I hear ya 😉 It’s no secret affiliate marketing is my favourite way to make money online. It could be because of the low start up costs or the fact there’s so much money to be made. My personal goal is to build a portfolio of income producing assets. Right now I have several affiliate marketing websites that earn a solid income for me all year round. I want to expand that to include an investment and real estate portfolio. That being said, I think it’s best to master one thing first before trying something else. If you’re struggling to get the results with affiliate marketing check out How To Become An Affiliate Marketer where I’ll show you what I think it takes to become successful in this industry as well as giving you access to some free affiliate marketing training I think will really help. Hi Karen, Amazon Selling Machine is definitely legit and I really like the drop shipping model, it has the potential to be passive and very profitable. It’s not something I’ve ever invested too much time or money into myself but I know a lot of people are highly successful because of it, including the ASM students. Yes you’re going to need upfront capital to invest but the training is solid. Cheaper alternatives to Amazon Selling Machine? Check out Proven Amazon Course and Amazon Bootcamp. The core training is fundamentally the same and will help you to get to where you want to be if you’re on a tight budget.